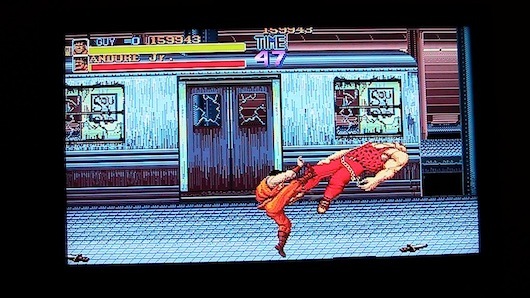 If I was to ask you to name at least one side-scrolling beat’em up from the arcades that you can recall off the top of your head from the late 80’s to early 90’s, the more well-known titles would include Double Dragon and Golden Axe, and then there’s Final Fight. 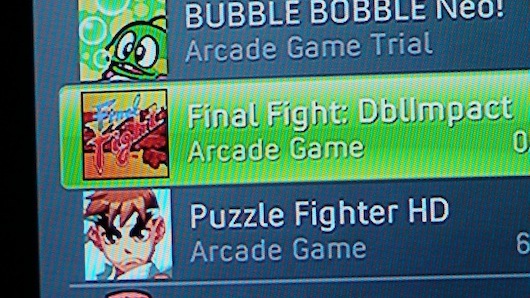 Capcom (in junction with Proper Games), have recently released Final Fight Double Impact exclusively for the Playstation Network as well as the Xbox Live Arcade. As soon as I saw the announcement for this title, I had to grab it. 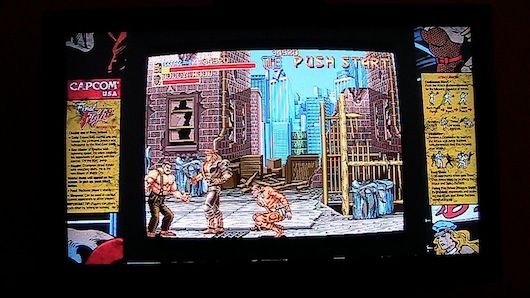 Final Fight Double Impact includes (naturally) Final Fight (which was released in 1989) as well as the company’s infamous fantasy platformer Magic Sword (which was released in 1990). 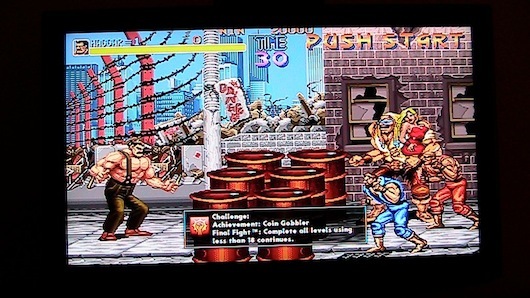 The story to Final Fight, is that the Mad Gear gang have taken over Metro City, and Mike Haggar, who is a former wrestler, is now mayor of the city. 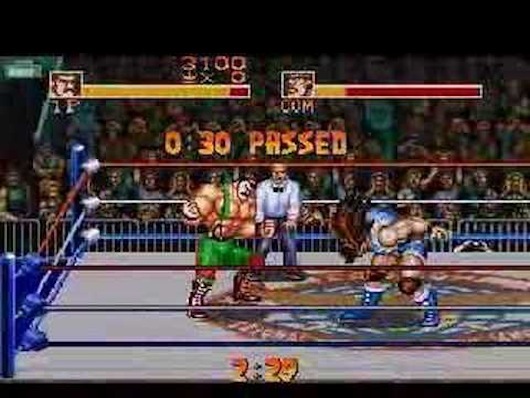 Going off topic slightly, but have any of you played Saturday Night Slam Masters? 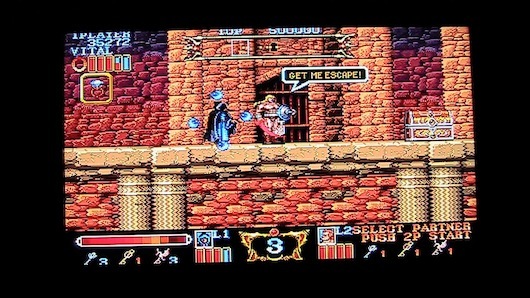 So Mike and his mate Cody (who’s girlfriend has been kidnapped, who is also Haggar’s daughter), and his sparring partner Guy, set off to rescue Jessica and defeat Mad Gear. 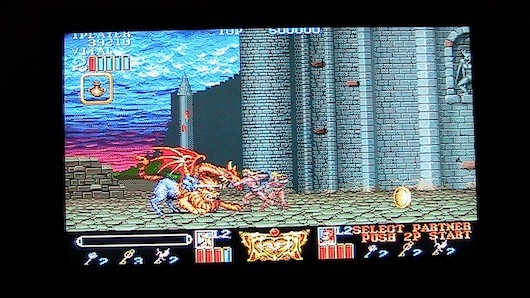 The game is stretched out to six stages segmented into three areas with a boss at the end of each stage. Each level you have hordes of enemies to, knife, slice, pummel, pile-drive, throw and fly-kick your way through. Funnily enough seeing the mayor of the city destroying rubbish bins and phone booths to get power-ups. Final Fight includes plenty of Melee weapons as well for the characters to use like knives, Katana swords, lead pipes, and so on. Each character noticeably have their own strengths and weaknesses. Haggar is slower than the other two, but is stronger, and you can perform different kinds of throws and wrestling moves. Guy is the most nimble, but also the weakest out of the three. 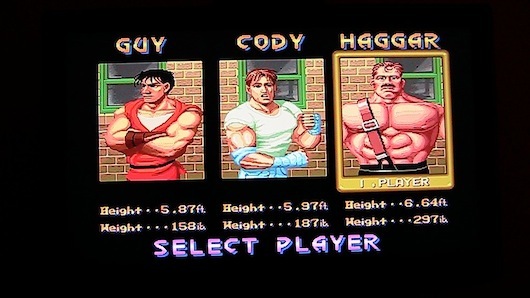 Although the funny fact about the SNES release of Final Fight, is that only Cody and Haggar was included in the release. 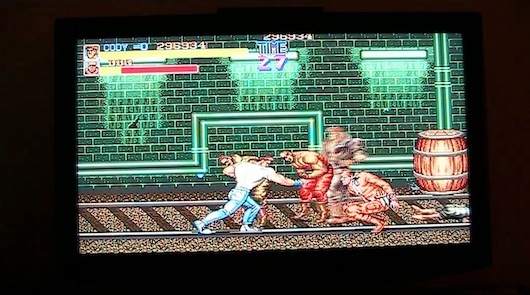 A year later Capcom releases “Final Fight Guy”, a seperate game which just included Guy in the game. Cody is the all-rounder character or at least feels like it, kind of combining the better of Guy (nimbleness) and Haggar (slightly stronger character), also Guy and Haggar can only throw knives, whereas Cody can actually stab the enemies OR throw the knife. 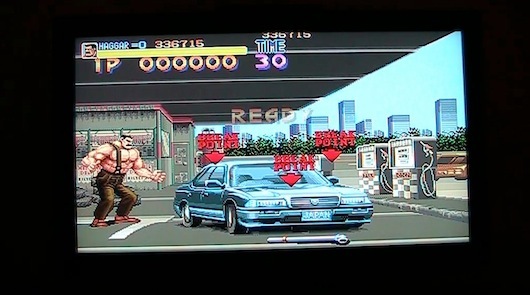 As well as the usual happenings in the game, you also have bonus rounds, like the infamous car-bashing round which was of course brought onto Street Fighter 2. 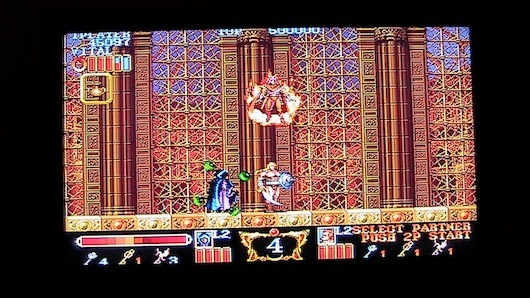 Okay so enough about Final Fight for now, lets talk about Magic Sword. So the evil lord Dorkmar Drokmar has invaded the unnamed world, and you, the unnamed hero sets off towards a 50-storey tower to defeat the dark lord and his army as well as locating the Black Orb, the jewel which Drokmar uses to control the land. Along the way you will find that you have allies which have been captured, each level you’ll find keys to release them and they aid on your journey with their own different traits/weaponry. Like with many platformers, you have the usual bosses and mini bosses as well along the way. The levels themselves don’t look majorly different to each other, except primary colours of the backgrounds pretty much. Also the levels aren’t always conventionally passed by just going to the right. Some let you wander to the left to skip floors. I tell you folks, this game to me, is like Gauntlet but side-on. One of the few platformers that I genuinely enjoyed in the arcades. So now that I’ve briefly given you an description on both titles, how do I rate them? Well I can’t compare which one is better over the other for starters, bit unfair considering two different genres. 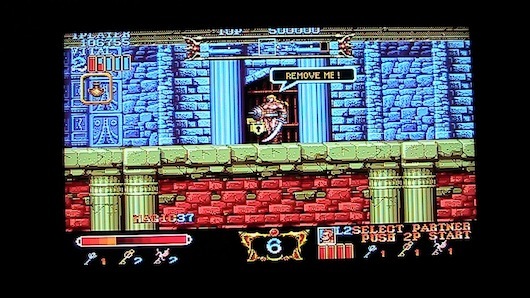 Although both Final Fight and Magic Sword were always titles I tended to play with no hesitation back in the days of Saturday morning video arcade lock-ins. Both titles are challenging in their own way, and above else A LOT OF FUN! I always go back to playing these two games on *cough* MAME whenever and wherever possible. 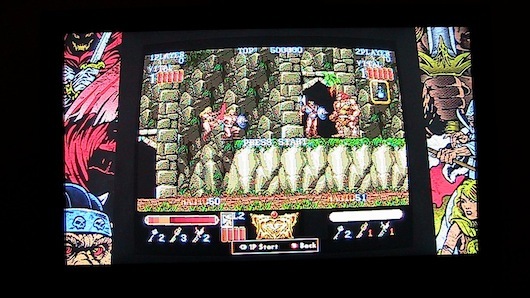 Both with the original artwork, and the scrolling is noticeably “retro” as in, the game scrolls along to the rounded CRT screen. 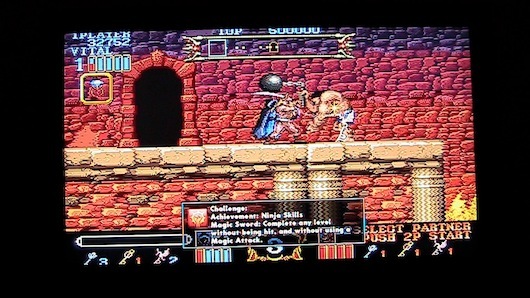 The pictures show no judgement, see for yourself on Playstation Network for your PS3 or Xbox Live Arcade for the 360. The only negatives I can think of for this overall presentation, is the fact that there are game saves. 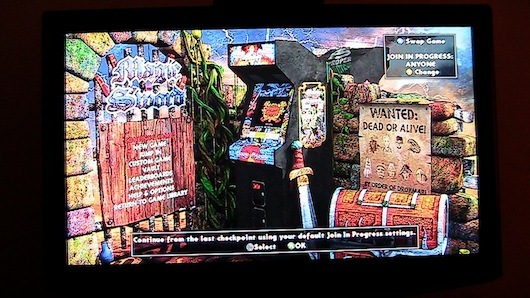 The arcade didn’t have game saves, nor should this (luckily you can discard the saves and start a new game each time). Some would also argue about the cost factor, but it depends on whether you have the original cabinets or not. With that mentioned, I personally recommend this, but only if you haven’t played either of the games before, or if you thoroughly enjoyed them back in the day. Hopefully this is a new trend that Capcom are going to use for re-releasing their classics to newer-gen consoles to rekindle the retrogaming flame in all of us. Fingers crossed for a King of Dragons and Aliens VS Predator combination!